2 wire: powered from 4-20 mA loop. Intrinsically safe if used with approved barrier. This flowmeter is made for water, water/glycol coolant of low viscosity fluids. There are no moving parts to clog or wear. They are certified CSA and CE. They have a 4-20 mA output. There are two versions. The three wire version (power supplied separate from the 4-20) has a solid state relay that can be configured as an alarm or as a pulse out. It has a bright LED digital display of flow rate. The two wire version (option E14) has no display, pulse out or alarm point. It can be operated in an intrinsically safe mode only when used in conjunction with an approved intrinsic safety barrier meeting required entity parameters. 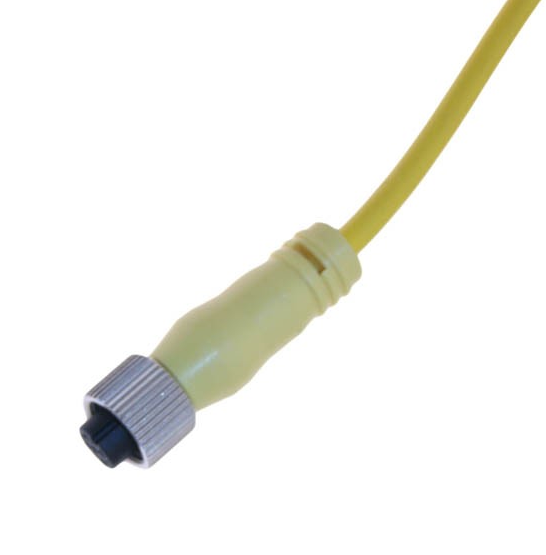 Select this cable for use with our CP and CP/CN series flow meters (2-wire option).